Cheap motocross gear is available if you know where to look. Auction websites can be a good starting point, and so can clubs and fan-sites. Always check for knocks and damage, and if your not happy don’t buy. There are a lot of non branded cheap motocross gear out there, and this maybe ideal if your beginning or not into the whole fashion statement issue. If you can wholesale is the best to buy, but this can sometimes be near impossible unless you know someone in the trade. Ideally check out the stores, internet and normal local shops and see if sales are being advertised, bargains are there, its just a matter of finding them. When seeking out cheap motocross gear for your dirt bike experience, you’ll notice quality buys can be available and so can cheap bike dirt gear rubbish. On the whole though you should be spoilt for choice, its only when buying used dirt bike gear, from ebay and other private adverts you need to be extra careful. Dirt bikes can be demanding, and you will be surprised how much your dirt bikes cheap gear gets punished. So where can you buy cheap motocross gear ? Well first stop was the always popular, slyfoxmx.com. Where we came across a 2009 Thor AC Vented Jersey for $38 (on sale of course), only a small discount, but these jerseys have padded elbows and a vented mesh construction. Plus being made from a moisture wicking polyester micro-fiber and a grippy silicone tail print keeps the thor jersey from becoming untucked. Overall a lighter and breathable item, when you have your body armor on. Also while we were at slyfox a 2008 Oneal MX2 Gear Bag was on offer for $54.99. Not a bad price for a dirt bike gear bag, this buy includes a 420 rip stop nylon construction, mesh venting in the main compartment and some Heavy duty zippers to keep this reliable and ready for that muddy gear. Before we left, we took a final look at a FLY "Air-Strike" Rock Deflector between the prices of $54.95 - $62.95. Bike dirt gear safety is important and protection is critical. This item has a DGP polymer construction, a smaller front panel for more mobility (ideal for those tight track corners). Easy removable padded foam for easy cleaning, better air-flow and adjustable shoulders, a great piece of cheap motocross gear. Ebay was our next port of call, where we wanted to find some low-cost dirt bike gear for youth riders and quality protection for mx dirt bikes. We did see a pair of Thor Hero Goggles (downhill XC 4x dirt jump ones), for £30. They have a custom painted frame with superb dirt bike graphic images. A woven strap with silicone backing, a three layered molded face foam insert within a drilled frame that helps circulate air to prevent fogging and misting. It’s well designed and should be quite ergonomic to your face, and has a number of features to help airflow. Ebay also pulled up a cheap pair of GMX MX01 Enduro Quad Dirt Bike MX Motocross Gloves for £8.99. The gloves "for dirt bikes" pictures on the advert looked impressive and ebay is ideal for this, where other small ad sites can be patchy. These gloves are CE approved to provide you with ultimate safety features. With a neoprene cuff, breathable mesh construction and reinforced thumb, palm and inset your hand should feel well protected inside such a motocross glove. Time to visit getgeared.co.uk, which has a number of motocross and dirtbike armor options. The first of which was some MADHEAD Motocross Body Armor, with prices between £59.95 – £69.95 dependent on size. This model Conforms to CE Norm EN 1621-1, and has adjustable body length settings ideal for us mis-shaped riders. Includes lightweight deflection panels, fully adjustable front and rear shoulder connections and of course is fully ventilated. Do be sure of sizes when buying this type of item, as buying the wrong size will be very uncomfortable. Getgeared also had MADHEAD motocross knee protectors for sale as well. Which incorporates an ergonomic design and jointed leg hinges to ensure maximum flexibility. The comfort foam padded liner and velcro leg straps provide a perfect fit. The pair was on sale for £19.99. 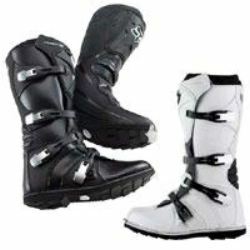 Another site to investigate for cheap motocross gear was motocrossgiant.com, that had the Oneal M-10 Boot on a sale offer for $69.95. Which isn’t bad when you consider the RRP is $149.95. What does the dirtbike boot have? Ok well- an injection molded shin plate, leather construction and an Aluminum, adjustable four buckle closure system. A leather heat shield, full-length steel shank and an ankle / shifter plate, side plate and buckle protector for great foot and lower leg protection. 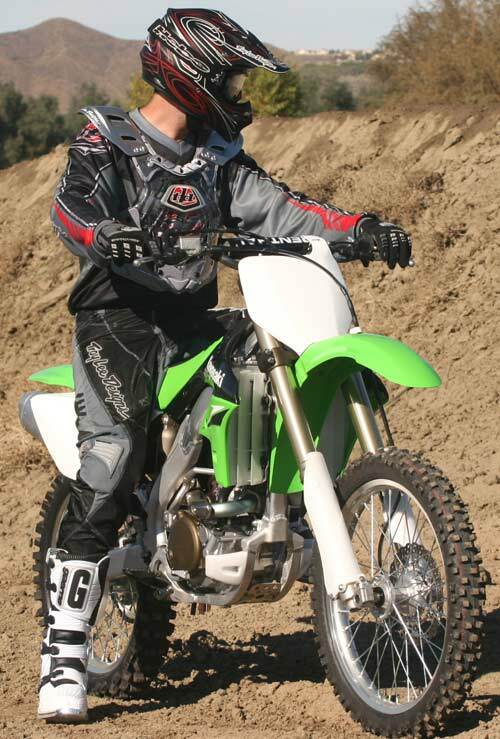 Motocrossgiant.com, also offer cool womens dirt bike gear and other girl dirt bike gear for the track and casual wear too. For example we found a 2009 Fox Racing Womens Elite Jersey for $49.95. With moisture dispersing polyester main body, plus pinhole mesh inside the elbows which offer upper body airflow and multi panel padded elbows follow you’re every move. Another comfortable vented rear paneled jersey from fox, but designed specifically for the female figure. The bargain of the day however had to be from motorcycle-superstore.com. We came across a pair of O'Neal Racing (2008 Model)A-10 pit bike Pants for $29.99. Naturally it was in a closeout sale, but great if you need a cheap item of dirt bike gear. With 600 Denier Cordura construction and zippered legs – to turn them into shorts. They are more casual wear than track pants, but still incorporate flexible ribbed Spandura panels and four tuff pockets. So as you can see we had a worthwhile day searching for cheap motocross gear on the web, and if you take our recommendations you should find something of great value and at a cut-price. 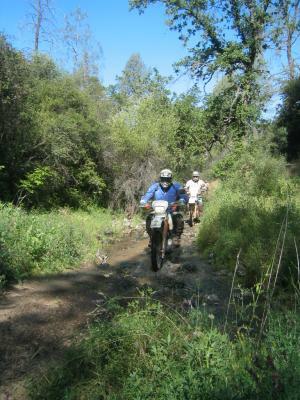 Bargain motocross riding gear and clothes can be found in discount sales within online stores. You should also be able to buy, motocross safety gear and motocross gear "womens" apparel too. However keep in mind motocross closeout gear sizes and be sure these cheap motocross gear items will still fit you comfortably whatever the price.